Former Harmony, Inc. Queen Kristina (Rector) Adams (Hot Topic, 2003) has a dad who really, really wanted to see her quartetting again! Since moving to Virginia from Indiana, Kris was removed from her Harmony, Inc. family and missing having barbershop in her life. Her dad is her biggest fan and was on a mission to see her enjoy barbershop singing once again. 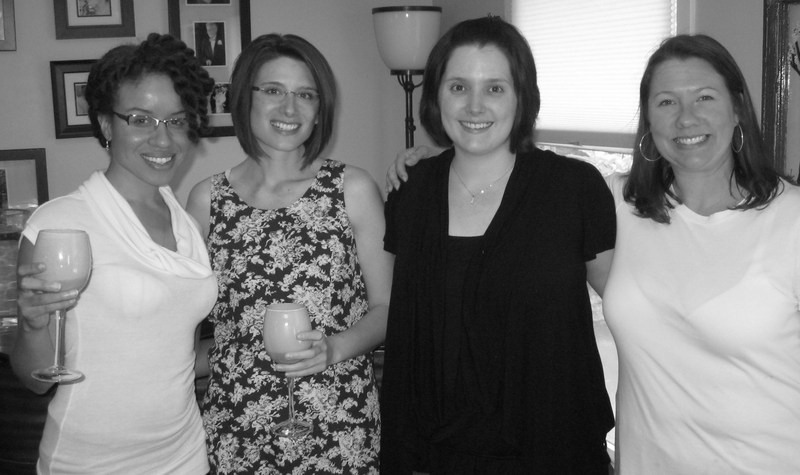 Christina Lewellen, wife of notable barbershopper Richard Lewellen, relocated to the Northern Virginia area in late 2010. A former Sweet Adeline, she herself had been out of barbershopping for several years with a busy career and young children. With so many close friends in Harmony, Inc.—she grew up in Western New York with the Upstate Rhythm and Images crowd—she always aimed to get involved in the organization. The connection came between Chris and Kris (yes, fun during rehearsals) because John Rector sings in Richard Lewellen’s chorus. Through Richard, John encouraged Chris and Kris to connect and see about forming a new quartet—thus bringing barbershop back into both of their lives! 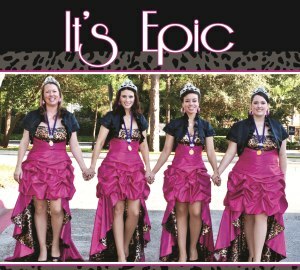 After several auditions to find a lead and bass match, Epic was formed in early May of 2011. Having grown up as “barberbrats,” Kris and Chris are THRILLED to bring two fantastic, talented singers into the Harmony, Inc. organization. These unsuspecting ladies—Shana Oshiro and Anne Albright—were instantly bitten by the barbershop bug and are so excited to embark on this new musical experience. 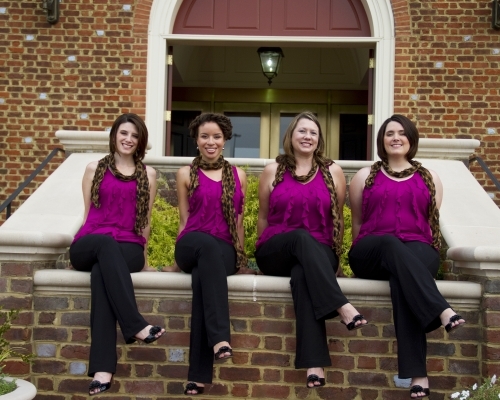 In April 2012, Epic was named Harmony, Inc.’s Area 2 quartet champs and went on to win Harmony, Inc.’s International Contest later that same year. Being named the 2012 Harmony Queens was a life-changing experience for each of the members, and certainly came at the hands of a good story. Take a moment to read it here. Enter your email address to follow Epic and receive notifications of new posts by email.